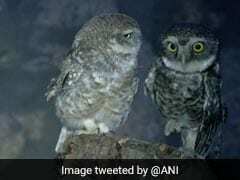 Kankaria, India''s first nocturnal zoo, records over Rs 3 crore yearly income. The two-floor zoo is designed to create a night-like environment in the day time and vice versa. 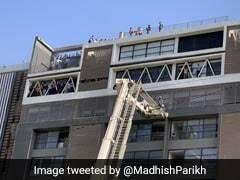 Over 100 persons were rescued Monday afternoon after a fire broke out on the ninth and tenth floor of a multi-storey commercial complex in Ahmedabad's Prahladnagar area, a senior official said. 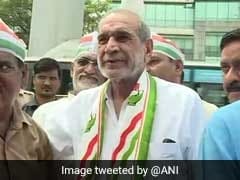 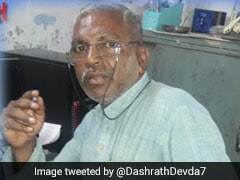 The head of an organisation representing ''harassed husbands'' has jumped into the Lok Sabha poll fray in Gujarat with a promise that if voted to power, he will voice woes of men "victimised" by their wives. 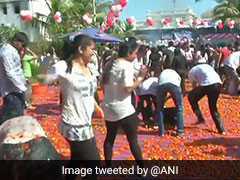 Holi got a saucy twist in Ahmedabad, as a group of people bombarded each other with tomatoes, much like the Spanish festival of La Tomatina. 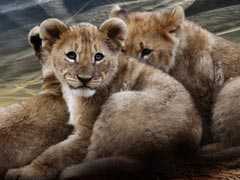 Two lion cubs were Tuesday found dead in Visavadar range of Gujarat's Gir forest, a senior official said. 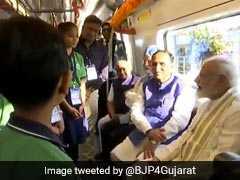 Prime Minister Narendra Modi today inaugurated the first phase of the Ahmedabad Metro train service. 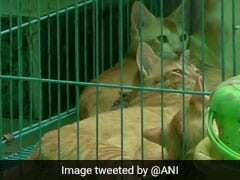 In pictures released to media, PM Modi is seen riding the train with Gujarat Chief Minister Vijay Rupani, Union Minister Hardeep Puri and also interacted with children. 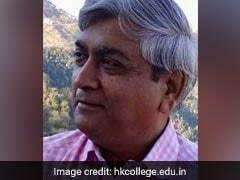 The FBI attache in the United States Embassy in India met Ahmedabad police officials to assist the latter in an ongoing probe into illegal call centres busted here recently, a senior official said Sunday. 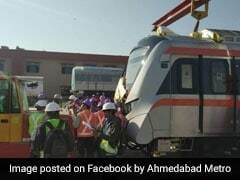 The first trial run of the city's metro rail was conducted on Thursday by Gujarat Metro Rail Corporation (GMRC), which announced that its commercial operations will start from March this year. 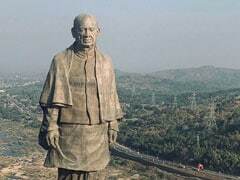 Crocodiles from two ponds near the Statue of Unity in Gujarat's Narmada district are being relocated for the safety of tourists visiting the Sardar Patel memorial, officials said Sunday while dismissing reports that the move is linked to the seaplane service. 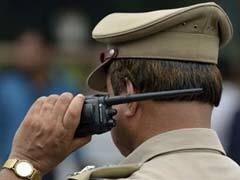 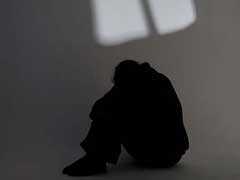 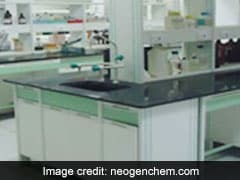 A man was arrested on Saturday in Ahmedabad's Ramol for allegedly sexually assaulting his teenage stepdaughter, police said. 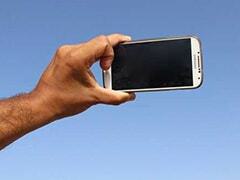 Two students of a polytechnic drowned in a lake while taking a selfie in Bhavnagar city of Gujarat Thursday, police said.